Features:Sided Heart Design Patterns Dinnerware Type:Dishes & Plates Material:	Metal Metal Type:Aluminum Dimensions:30 x 12 cm Finish:Polish & Enamel Feature:	Eco-Friendly,Stocked Specifications: Aluminum Cake Stand We provide our client an excellent quality range of Cake Stands, which are manufactured from high grade quality raw materials. 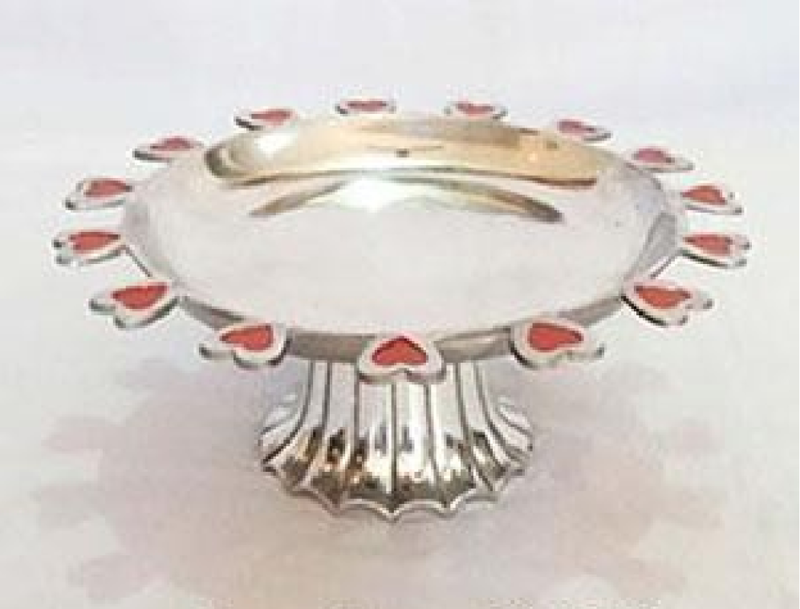 These Cake Stands can be customized as per our precious customers specifications. These Cake Stands are widely known for its durability and quality. Our Cake Stands can be availed at industrial leading price.